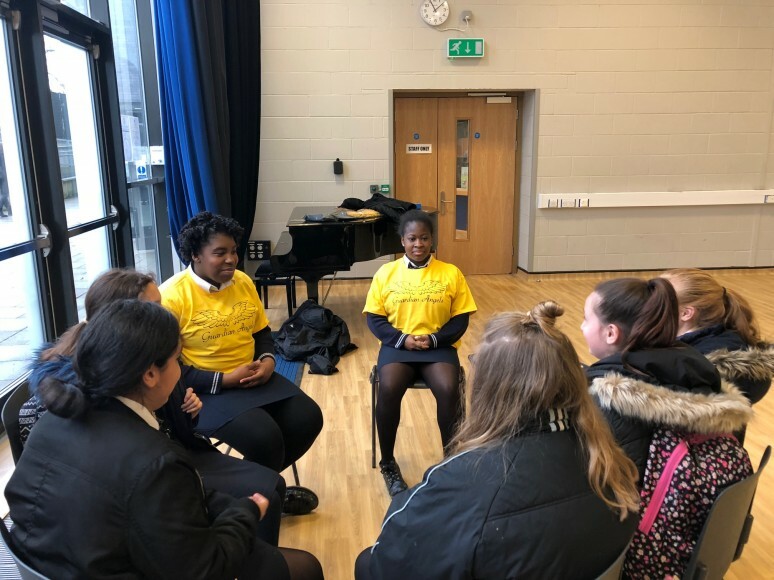 A group of 17 Year 10 students undertook mentor training from local charity Bromley, Lewisham and Greenwich MIND earlier in the year. The idea behind this was to train up students in KS4 who could provide support to students lower down in the school at break time as they are someone different to teacher or other staff member to speak to. The training was fantastic and the girls were very impressive with their foresight and ideas about what a mentor should do. After their training, the girls have been put onto a weekly rota so that they can provide a daily service to students. To add some visibility, Miss Mottershead organised some bright yellow t shirt for the mentors to wear so that they can stand out. 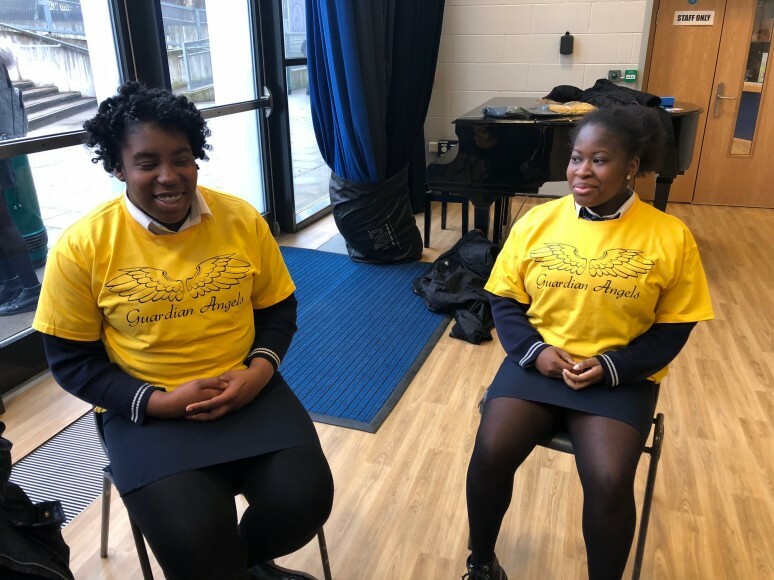 The girls, who are called "Guardian Angels" have been doing a fantastic job and after raising awareness in Year 7 and 8 assemblies they do have regular students coming to see them. 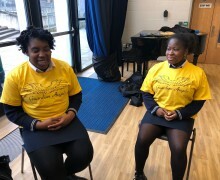 The Year 10 girls provide their service every break time in the Adelaide Hall by the piano and will do so throughout the remainder of the school year.